9 partners from 7 different countries which represents 70% of the former investments in Biophotonics ! OPTITEC is a leading French competitiveness cluster, located in south of France (PACA and Languedoc Roussillon Regions) specialized on complex optics and imaging systems dedicated to space, aeronautics, defence, medical, food industry and green photonics applications. OPTITEC with 190 highly committed members represents more than 25% of French R&D in optics. The cluster developments are based on leading edge research centres and universities with world-renowned laboratories. The Institute of Applied Physics “Nello Carrara” is part of the Italian National Research Council (CNR), which is the main public organisation pursuing research and innovation in Italy. CNR IFAC is the legal entity which acts as the coordinator of the Regional Photonics Cluster of Tuscany "OPTOSCANA"
OPTOSCANA, established in July 2011 by the Economic Board of the Regione Toscana (Tuscany Region) and supported for 3 years, with a budget of 500 k€. OPTOSCANA has now about 110 partners (90 Enterprises, 5 Universities, 10 CNR Institutes, 5 other Research organizations), many of them active in the Biophotonics field. PhotonicSweden (PS) is the national platform for the Swedish photonics. It was created in 2011 by merging the activities of an association of companies called Swedoptronics with the networking activities of the Swedish Optical Society. From the start, PS has built working groups mirroring the ones of Photonics21. PS has hence a working group focusing on life science and health. PS is based in Stockholm i.e. in a region where the field of life science is very strong with e.g. the world famous Karolinska institute and a number of other renowned laboratories. Except this region covering Stockholm and Uppsala, there are two other strong regions for the life sciences in Sweden, in Lund and Malmö related to Copenhagen in Denmark in what is called the Öresund’s region, and in Gothenburg. Optec-Berlin-Brandenburg (OpTecBB) e.V. is the Competence Network for Optical Technologies in the German Capital region. It was founded in 2001 and today has about 100 member organizations predominantly from industry, research and education. Within the optics cluster in Berlin and Brandenburg about 400 companies and 35 research organizations focusing on optical technologies and micro systems technologies are agglomerated. The association connects cluster actors to jointly foster the development and application of these technologies. Network activities are organized in the areas of (1) lighting, (2) laser and (3) micro systems technologies as well as in (4) optical measurement, (5) biomedical applications and ophthalmology and (6) optics for communication and sensor application. The Physics Department of Politecnico di Milano (Polimi) is a reference institution in the field of Photonics in general, and Biophotonics in particular. Moreover, Polimi is strongly involved in the smart cities and communities regional policy and also acts as the scientific chair of the National Platform “Photonics sources and sensors”. A wide range of research themes are presently developed in Lombardia, spanning from the application of biophotonic techniques to the investigation of basic biological processes, to the design and fabrication of prototypes for biomedical applications and life sciences. 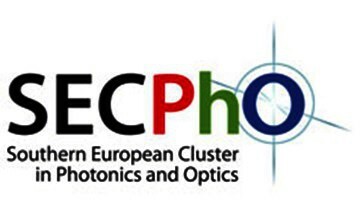 SECPhO – Southern European Cluster in Photonics and Optics was officially founded as a non-profit organization in 2009 in Terrassa (Barcelona), Spain. The Spanish Ministry of Industry recognized SECPhO's strategic plan as excellent. Being a young cluster it has already been awarded with a European Cluster Management Excellence label in BRONZE. The mission of the cluster is the facilitation and improvement of competitiveness of the Spanish Optics and Photonics sector by reaching major growth and profitability. The leadership of this initiative is driven by world-wide known companies, R&D and technological centres related to this sector. Photonics Cluster Netherlands (PCN) is a Dutch foundation aiming at strengthening the Dutch photonics ecosystem, ranging from education to high tech industry. The PCN initiative was born in 2006 as a spin-out of the Dutch Association for Photonics. PCN facilitates and stimulates the networking between Dutch photonics companies and institutions, and establishes the link to international photonics clusters. Furthermore we try to bridge the knowledge gap between SME’s and the larger industries and universities by organizing photonic events, special photonics courses and hands-on workshops. Photonics Bretagne is a national cluster of research centres, schools and companies all in the field of photonics, based in west of France. The field of photonics in Bretagne originates from the development of large groups working in the Telecom industry, such as Orange labs and Alcatel, in the eighties in Lannion (Bretagne, France). Academic research labs and schools specialized in the field have also emerged during the same period in the region. New startups were then created and became quickly worldwide players. The College of Engineering at Swansea University is one of the reference Institutions in Wales and across UK in several Engineering fields and in particular on healthcare, photonics and bio-photonics. The University and the College was granted several projects to cover specific areas like Photonics and Advanced Telecommunication and Nanotechnology, with particular emphasis on healthcare applications. A Centre of NanoHealth (CNH, www.swan.ac.uk/nanohealth) was recently funded with a 21.6 ME European Regional development fund (ERDF) grant and it allows a permanent link between the Swansea University and local Hospitals, primarily Hospitals like Singleton Hospital. This allows to support know-how sharing between engineering, physics and medicine and provide a local support for healthcare companies with particular emphasise on Biophotonics.